According to a recent article on LATimes.com (link below), there were a total of 588,000 "strategic defaults" in the United States last year, up more than double from the year before. What is a "strategic default"? A strategic default occurs when a homeowner with a mortgage intentionally decides to stop making payments on their home. Joe Smith owns a home at California that he purchased at the peak of the real estate bubble. Joe Smith bought the home for $799,000 in 2006, and currently has around $650k left on his mortgage. The value of the house is now around $475k, meaning that Mr. Smith is "underwater" (he owes more than what the home is worth). Joe Smith has a strong credit history and a well-paying job. Joe believes that the housing market in California will never recover, so he simply decides to stop making payments on the mortgage. 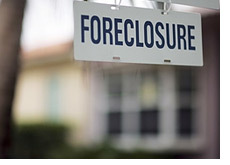 The home will eventually go into foreclosure, and Joe's credit history will take a major hit. However, he decides that it is worth it anyways. This is a strategic default, and there were nearly 600,000 of them last year in the United States. What's not surprising? The fact that strategic defaults are concentrated in areas that have been hardest hit by the downturn in the real estate market. Strategic defaults are highest in places such as California, Nevada and Florida. The fact that people with stronger credit ratings are more likely to choose to "strategically default" on their mortgage than people with low credit ratings. I think most people (myself included) would naturally assume that people with weaker credit ratings would be more likely to purposefully walk away from their mortgage. However, this isn't the case. Millions of US homeowners are currently "underwater" on their mortgages, so you can expect the trend of large-scale "strategic defaults" to continue far into the future, barring a dramatic and sudden upswing in the US real estate market.